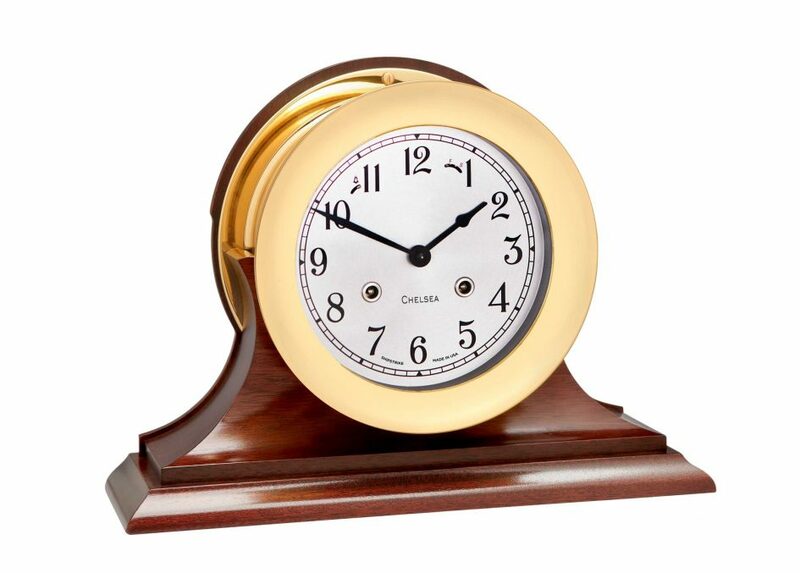 We are pleased to offer two different sizes of Shipstrike Mechanical Clocks, as well as a full complement of hand-finished hardwood bases for desk or mantle display. Was wondering about a ship F clock. It was serial number 5408. Can you give me any history on it. I am in the process of sending in for a cleaning. Thank you for your inquiry. According to our manufacturing log, serial #5408 is listed as a 6″ Ship’s Bell Clock and was originally sold to Hardman Brothers on August 7, 1901. Unfortunately, that is all the information that we have on file. Thank you!